How are you? Omg its still so cold here, definitely doing a number on my nails/hands. So ready for this winter to be over, are you? 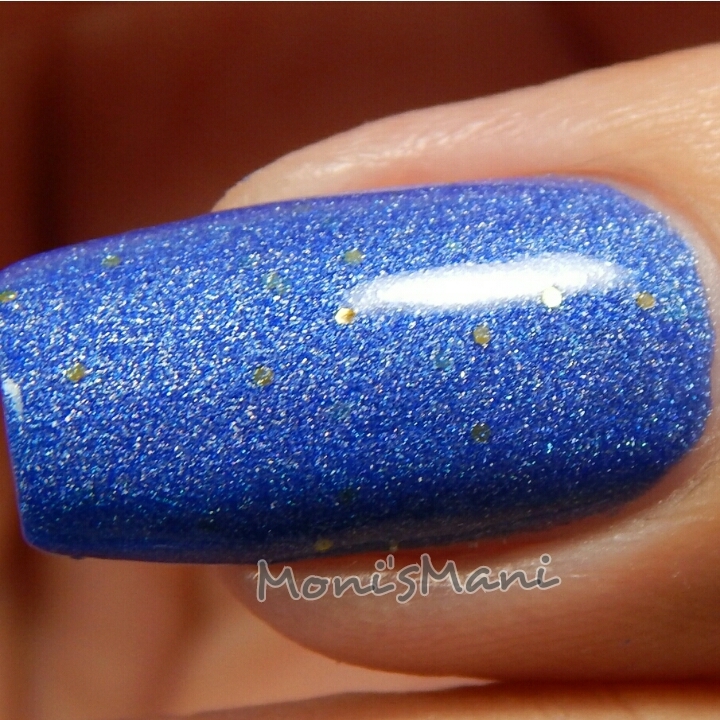 I am soooo happy to bring you this review today because I ADORE blue nail polish and a blue holo with gold glitters!? Yes pls! 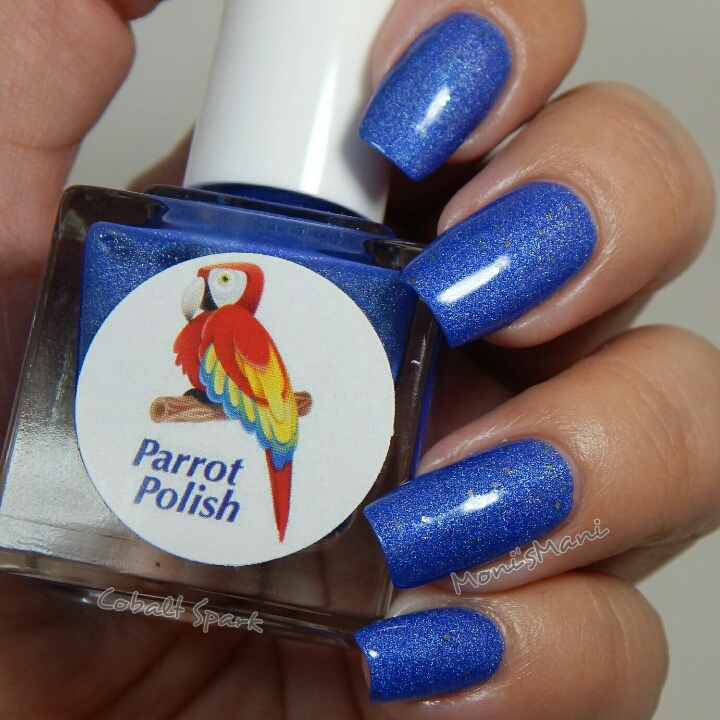 Parrot Polish Cobalt Spark is a beautiful surprise! I actually had to take a million pics, so here it is… Two coats plus top coat of this gorgeous polish. For my nail art I used Parrot Polish “Twitter Blue” as an accent stamped with MoYou Nails Plate N21. 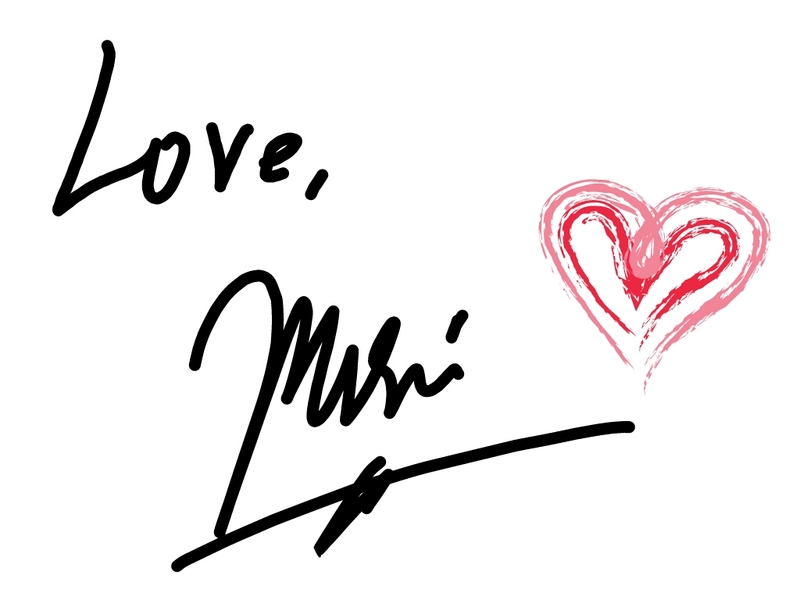 Hope you like it!! Can you blame me for loving this polish? The formula was a dream and the color is perfection. LOVE it! !